The soon-to-be Blessed Pope John Paul II. Pope John Paul II is back in the headlines—thanks to his imminent beatification ceremony, set to take place at the Vatican on May 1st. But who was he… and why was he important? Born Karol Wojtyla in Poland, Pope John Paul II was the first non-Italian to rule the Vatican in more than 500 years. He became pope in 1978—after the previous pope, John Paul I, died after only 33 days in office! But the pope was special for more than having survived three bullets. He spoke 14 languages—fluently. And his rule, at 26 years, was the second longest in papal history. During that time, he became seen as a loving and approachable pope, someone who hugged congregants, wrote best-selling books, traveled to 129 different countries, and made more saints than the preceding 500 years of popes combined. By that point, the Nazis had occupied Poland. Wojtyla worked as a restaurant messenger and manual laborer so he wouldn’t be deported to Germany. In 1942, he started studying—in secret—at an underground seminary. A German truck crashed into him two years later. The Nazi officers actually tended his wounds and sent him to hospital, something so shocking, he saw it as a divine confirmation of his career as a priest! Life under the Nazi occupation was hardly easy. That same year, he was arrested in a mass round-up; only the fact that he worked at a quarry, an important wartime industry, saved him. The other men he was arrested with were sent to Auschwitz, and 25 were shot in a firing squad. Further luck came to the future pope when the Gestapo rounded up more than 8,000 young men in Krakow. It was August 6, 1944, “Black Sunday.” The Nazis wanted to make sure that Krakow’s men wouldn’t rise up like those in Warsaw. Wojtyla hid in the basement of his uncle’s home while the Gestapo searched upstairs, then escaped to the Archbishop’s Palace, only emerging after the Germans had left. Wojtyla worked his way quickly through the Church hierarchy. Ordained as a priest in 1946, he studied theology at Rome’s pontifical university the Angelicum. He taught ethics at a university in Krakow, earned a second doctorate in philosophy, and wrote poetry, plays, and articles on Church issues. In 1958—at the age of only 38—he became Poland’s youngest bishop. 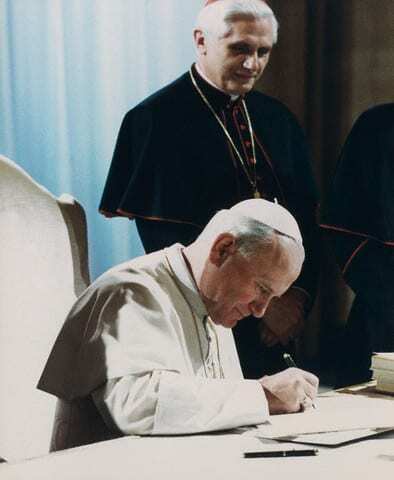 He became archbishop of Krakow in 1964, and, three years later, contributed a great deal to the encyclical Humanae Vitae, where the Church’s stance on forbidding abortion and birth control was reiterated. The wildly popular Polish pope earned the nickname the “Pilgrim Pope” for his ability to attract thousands of eager pilgrims to his public appearances. By the time Pope Paul VI died in 1978, there were two top candidates for the next pope. Neither of them were Wojtyla; both were Italian. 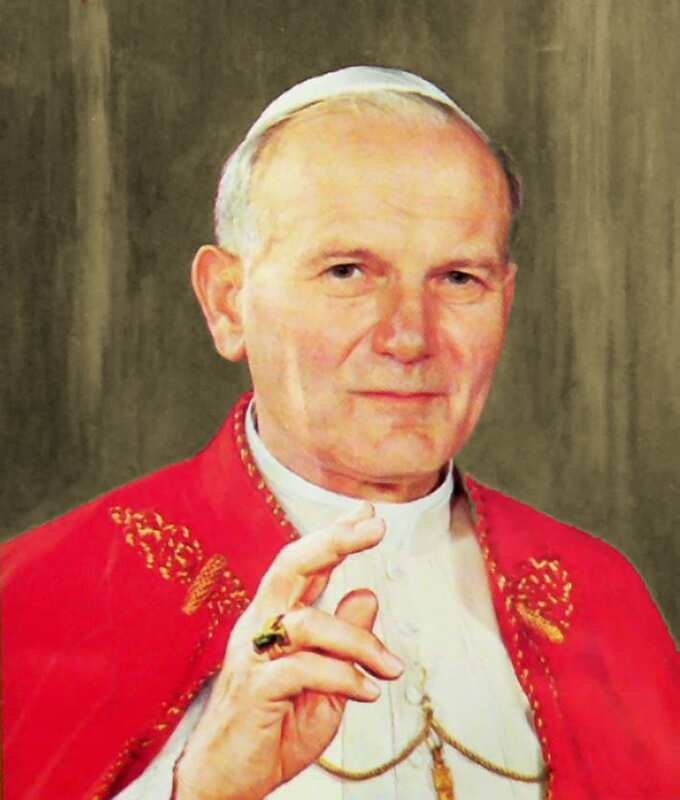 The Polish cardinal was suggested as a compromise candidate between the two factions, and Wojtyla won the election on only the second day of the conclave. At 58 years old, he was the youngest pope in 132 years. He issued public apologies for the Church’s indictment of Galileo Galilei, for Catholic involvement in the African slave trade, for injustices against women, and for the Church’s inquisitions and religious wars. And throughout his reign, he scolded various countries, from Brazil to Ireland, for mistreating their people or aiding violence. He also reached out to youths. In 1984, he established World Youth Day, bringing young people together to celebrate their faith. The next one, the 13th, will be held this August in Madrid. John Paul II remained a conservative pope. He firmly upheld dogmas coming under fire, like the Church’s condemnation of birth control and of stem cell research. Other topics, like whether women should be ordained, he declared as being not even open to debate. It’s not surprising, therefore, that critics say he didn’t adequately address gender issues and that his opposition to all forms of contraception was dangerous. (Compare it to Pope Benedict’s recent announcement that condoms are okay as a way to prevent AIDS). 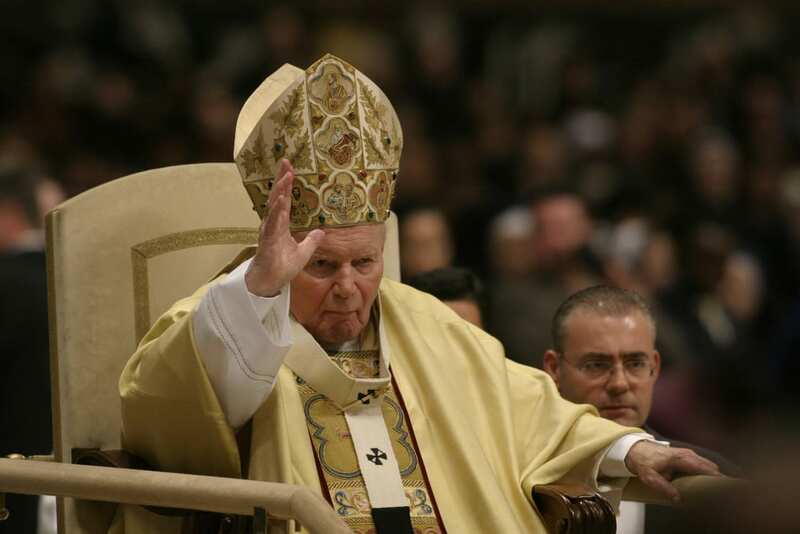 Even so, when John Paul II died, the world mourned. And many in the huge crowd at his funeral were already calling for his sainthood. People held signs saying “Santo subito!” (saint at once!) and chanted “Santo, santo!” (saint, saint!). Already, there were questions not just about whether John Paul II would be canonized… but whether the Vatican would put the process on the fast track. Next articleWhat Does Being “Beatified” Really Mean?